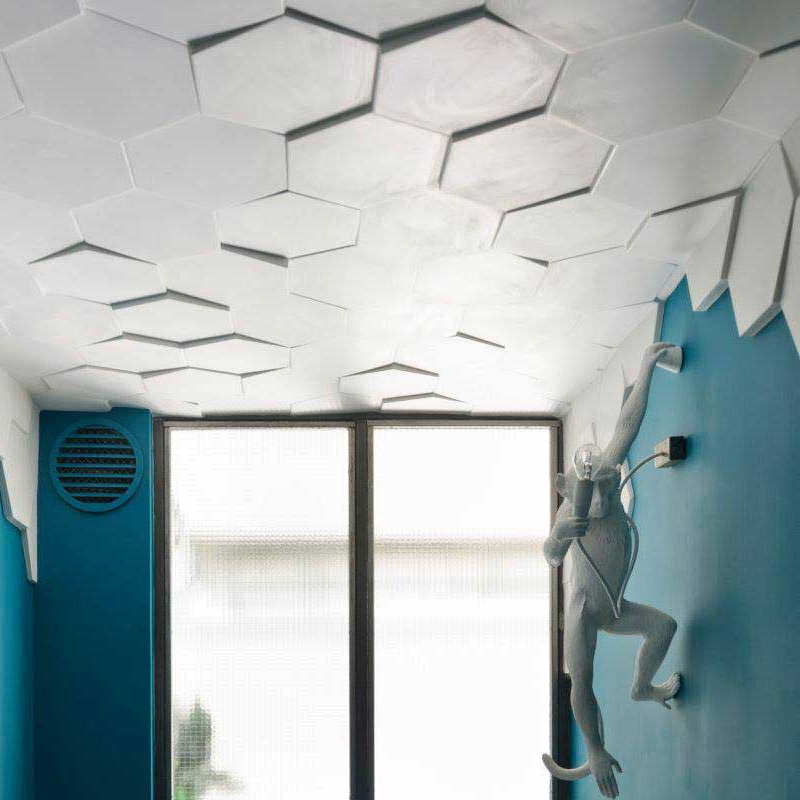 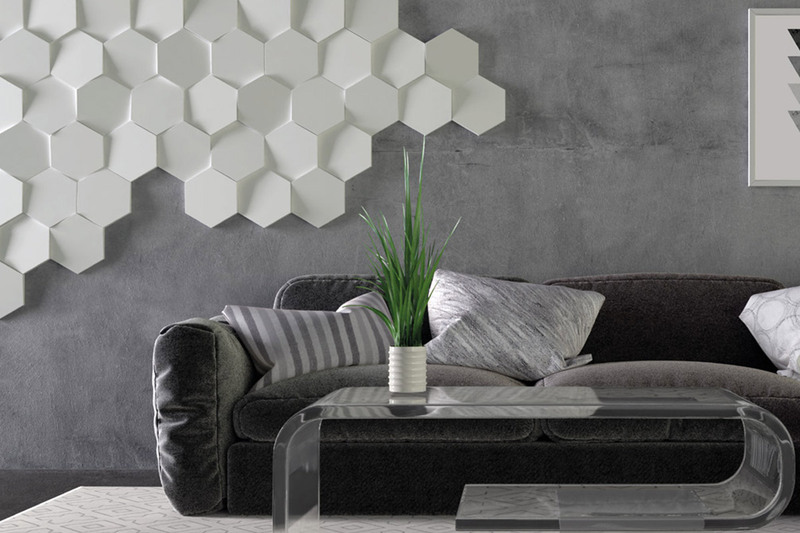 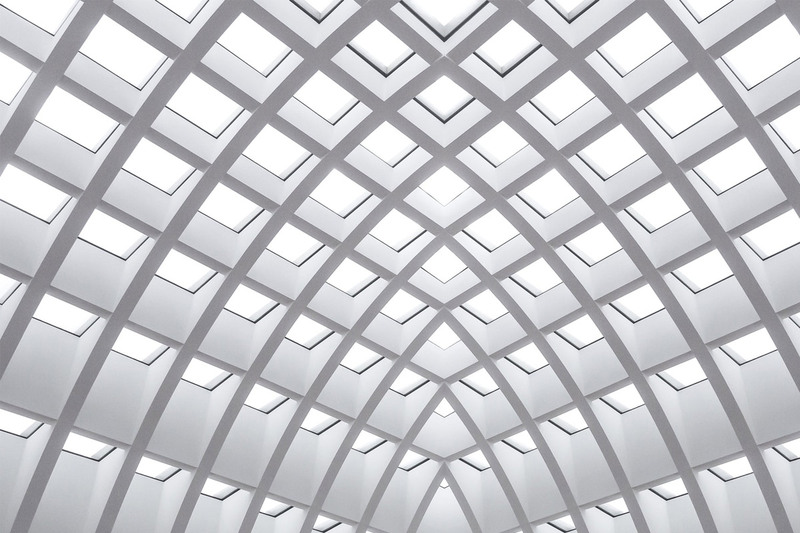 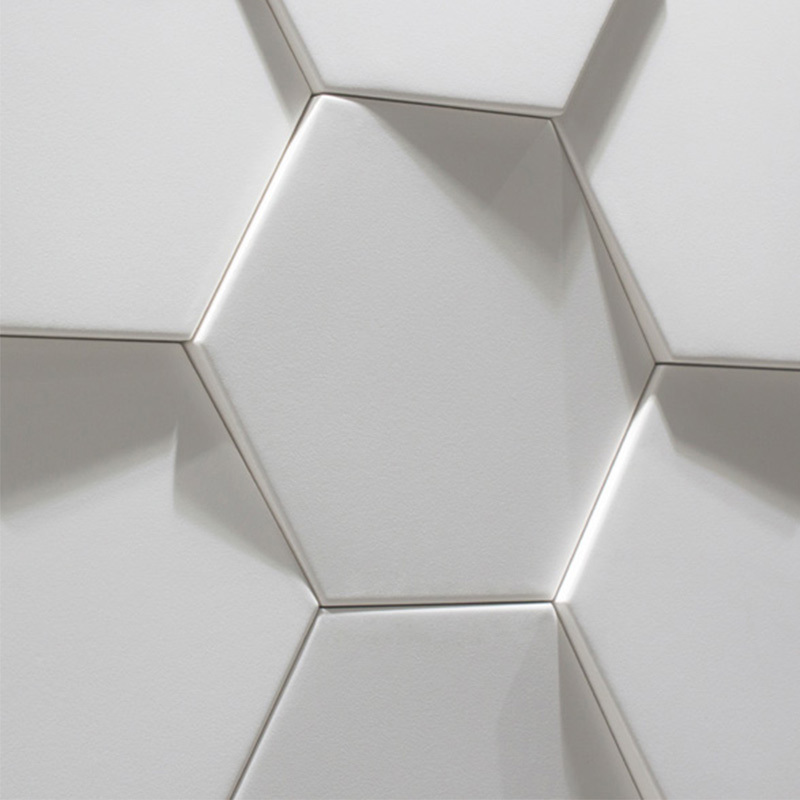 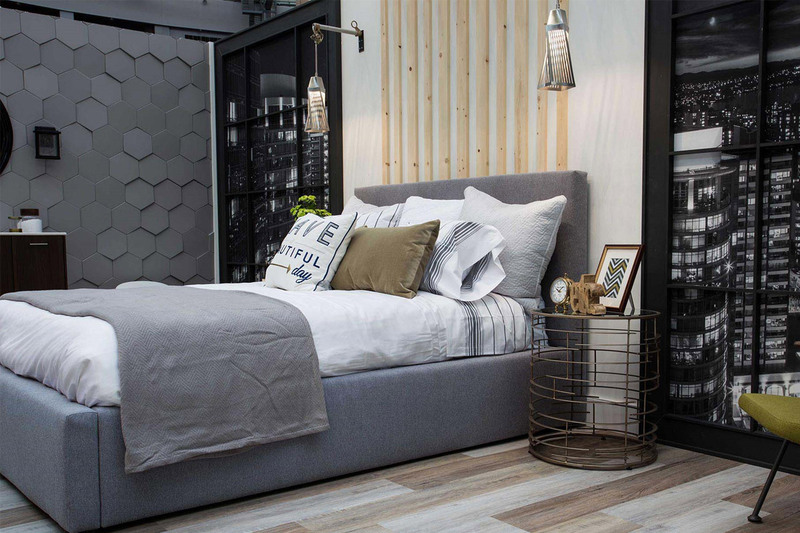 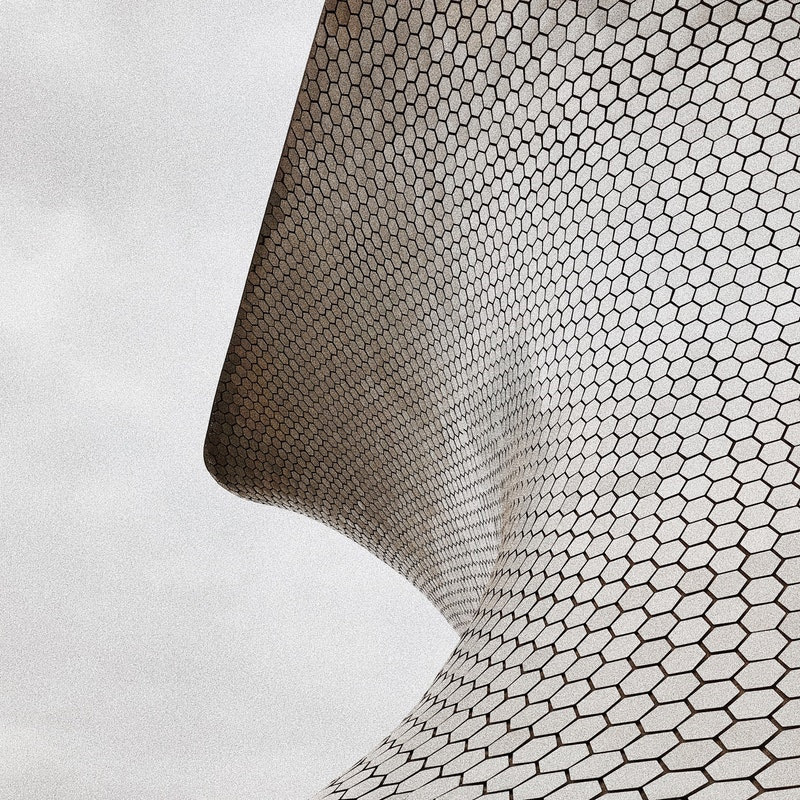 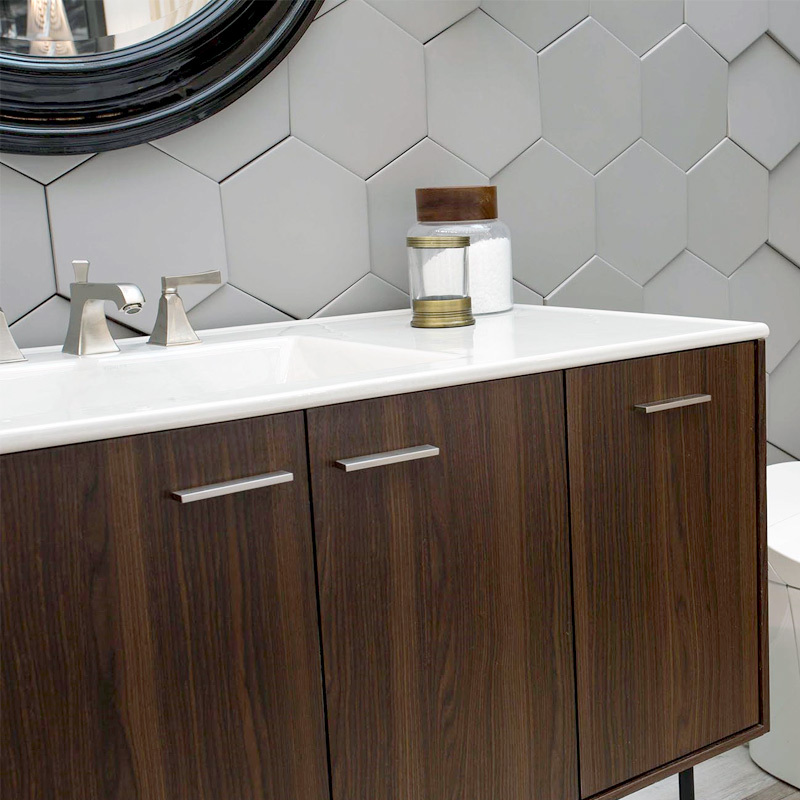 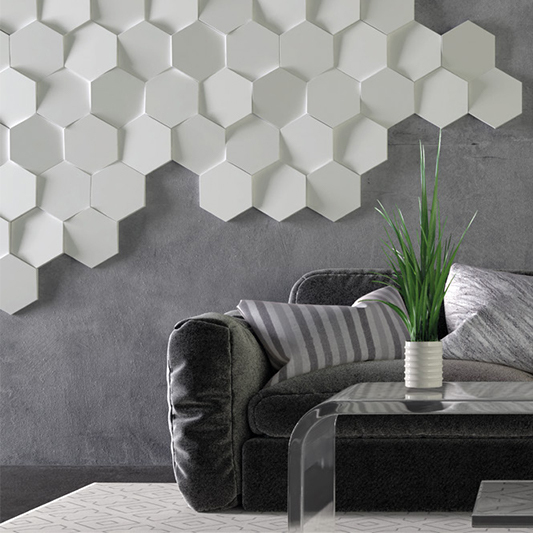 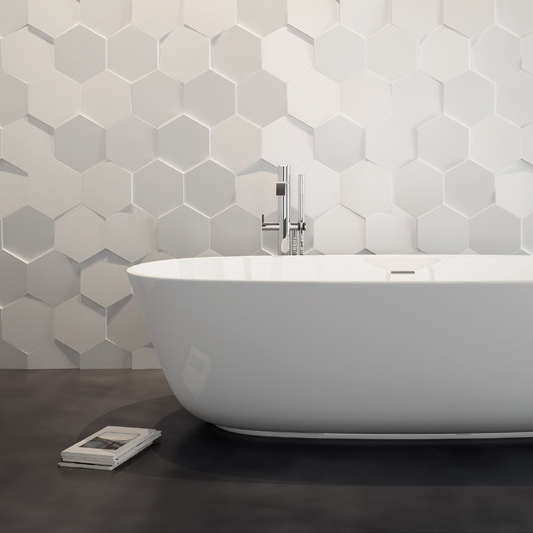 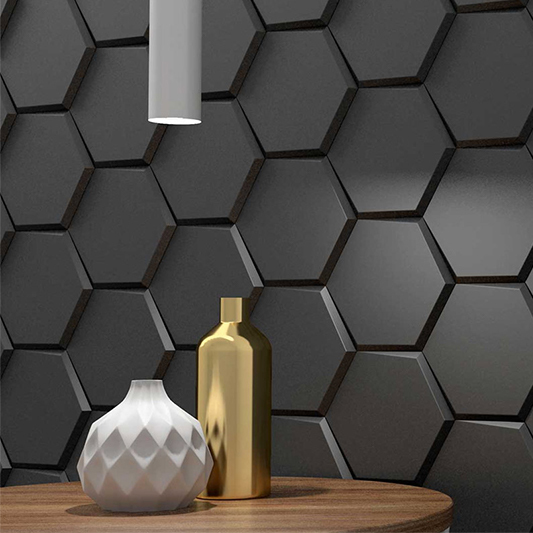 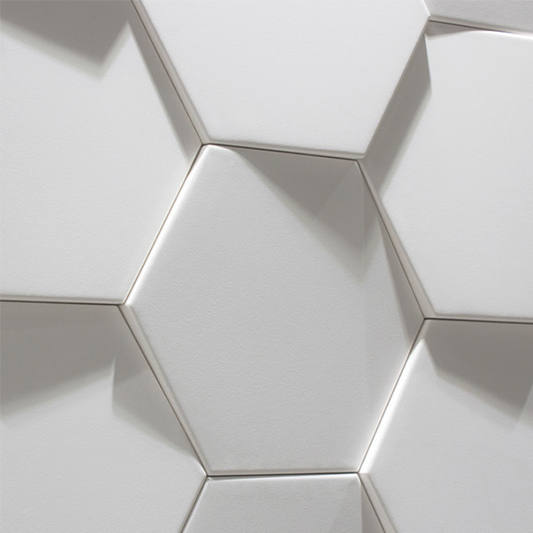 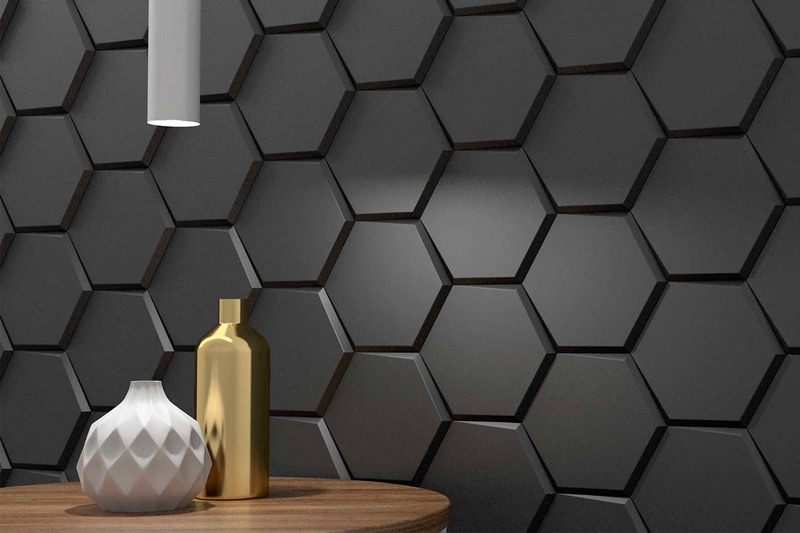 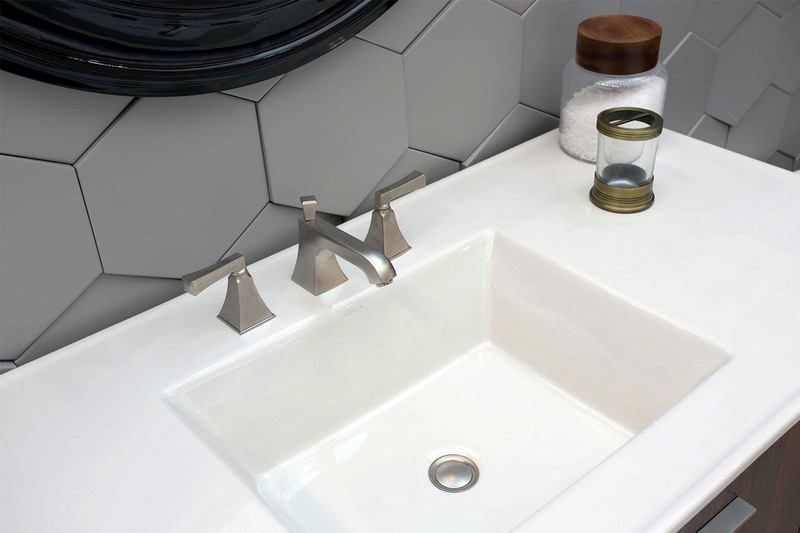 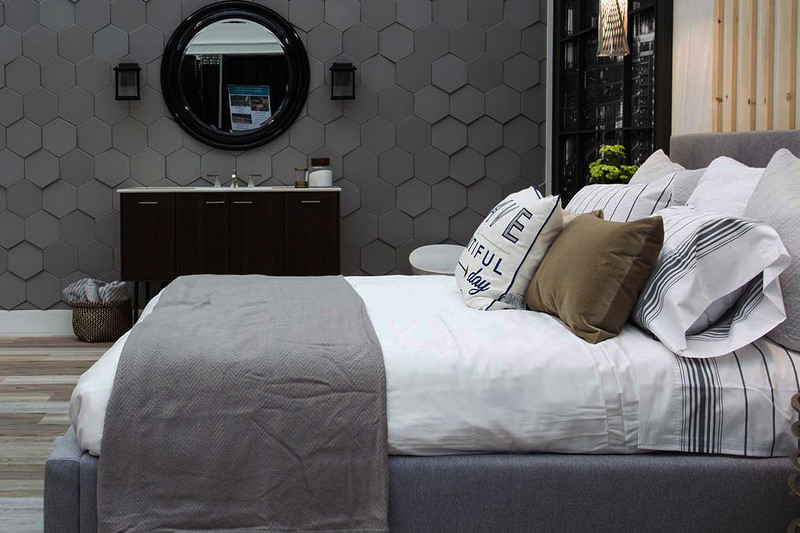 The unique 3-D shape of these hexagons create a striking design in any space, and provide for a stunning backdrop as feature walls or display spaces with the various shadows this product creates. 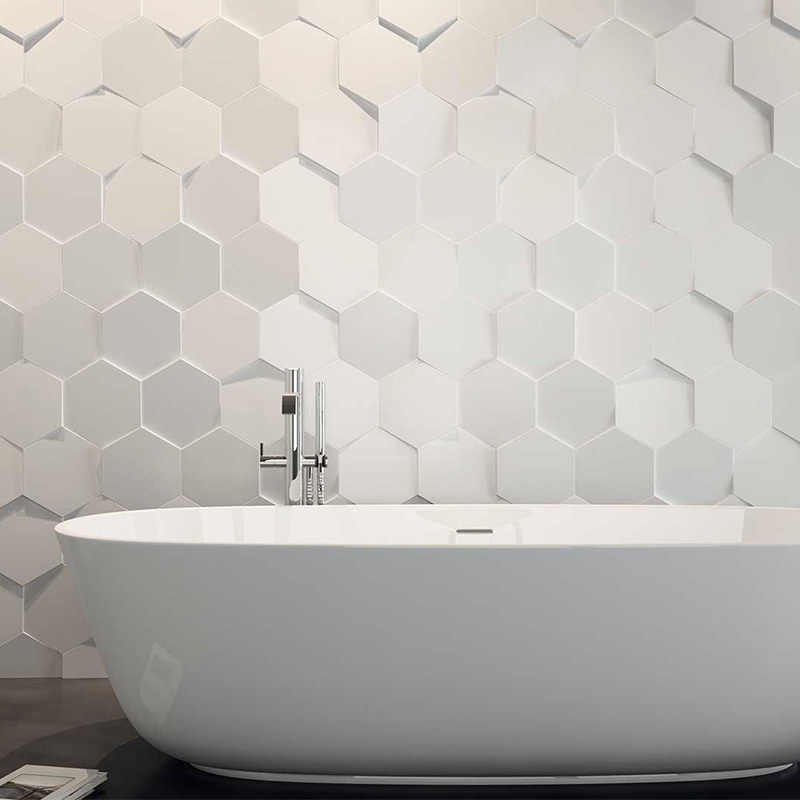 Preferably laid with no grout and in a random format this tile can be installed in nearly any application. 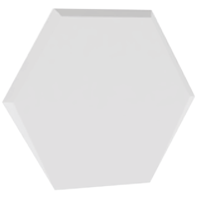 This product can also be laid open ended for a bespoke design (as shown), as the glaze is continued beyond the face to cover all the edges. 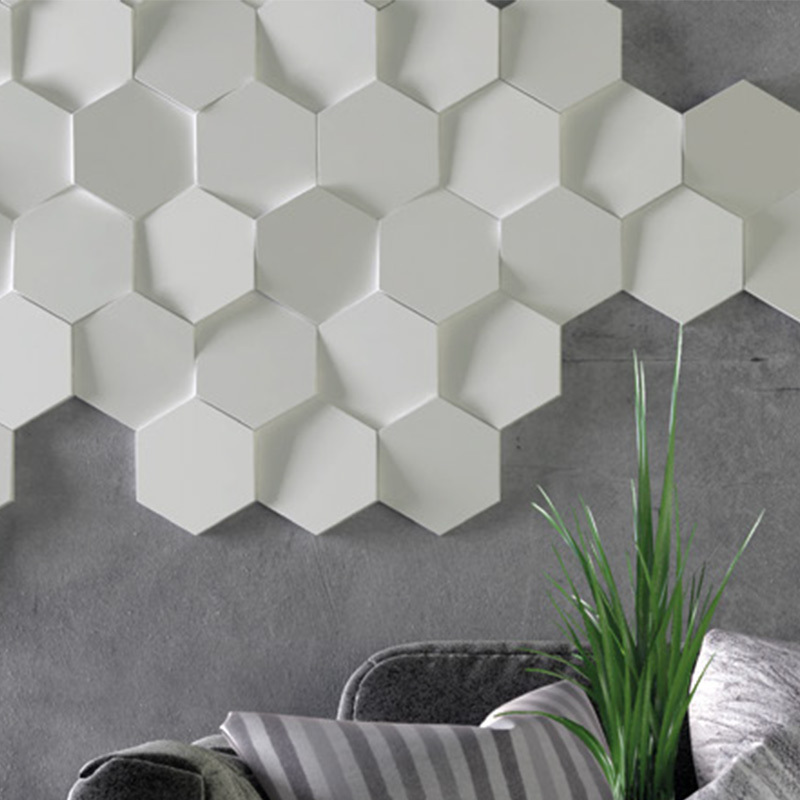 Add some Wow to your space with this cool series.